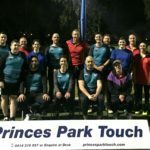 This content has been archived and may be out of date.Princes Park Touch is a sporting non profit but it is also one of the pilot sites built using the LocalHero wordpress framework for powering organisations. This framework is does not handle presntation so right now much of the functionality that this site has is not discoverable by its users. As such we are lookingfor someone with some php and web design skills to do some work (I could do it but speciality is backends). This site is currently using a slightly modified version of the WordPress twentyfifteen theme. As such we would like to make one relatively straightforward change to the twentyfiteen theme. Right now twentyfifteen has two menu’s, the Primary Menu and Social menu. These appear below one another in the left hand column on widescreens (normally desktops) and are toggeled via the hamburger menu in the top right on small screens (usually mobiles). The major change we would like is to create third menu (called users menu). This would appear under the other two menus on the left on desktop devices in the are I have labelled User sidebar are on the below diagram: To neccessitate the space required you will need to move the existing title, tagline and primary and social menu up the column they are currently in (and remove some of the space between the existing menus, titles, etc). In mobile I want the existing toggle (under which the primary and social menu are displayed and hidden, to be moved to the left hand side), and on the right hand side I want a new toggle from which you can access the users menu, thus: The toggle menu should actually use the genericon-user font icon (instead of the similar image I pasted in though) and should be perfectly aligned. Obviously all this needs to be done in a responsive way. I am a developer but my speciality is backend. This association of which I am president is looking for someone to do this work, but as it is a non profit it is not looking to pay huge money. However if the work provided is good there will be more commercial work coming your way from me personally as I would prefer to specialise on the back end where I am more productive. Natutally you would retain joint copyright to any work you do on this theme. Private message via fb or email the association on: info@princesparktouch.com for more info.